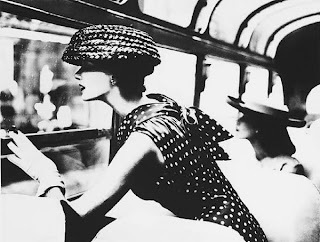 Lillian Bassman's amazing photography definitely stands out among others because of her unique point of view. Her photos elude romance, elegance and secrecy. She is more of an artist than a technician. 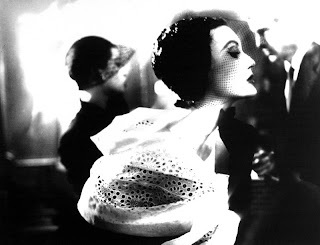 Bassman worked as a photographer and art director at Harpers Bazaar for more than 20 years. 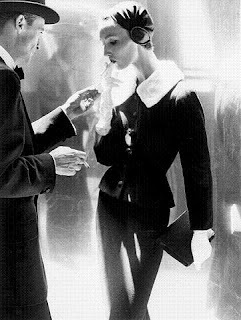 Her fashion photography often pushed the boundaries from representation to abstraction through dramatic lighting, often diagonal composition, and then darkroom manipulation. 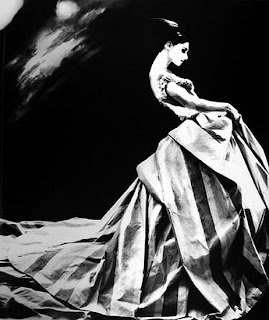 In the 70's, Bassman abandoned fashion photography and tossed out 40 years of negatives and prints - her life's work. Over 20 years later, a forgotten bag filled with hundreds of images was discovered. 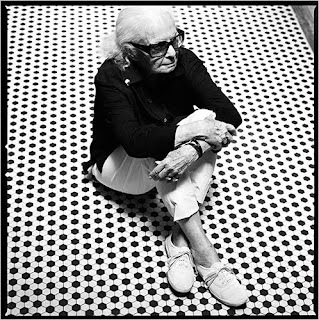 At the age of 92, Ms. Bassman is currently reinterpreting and re-printing her fashion photos with the use of darkroom, manual manipulation and photoshop. So it's most likely that the images shown here are not as they were originally printed, but as Ms. Bassman herself interprets them decades after they were created. They still remain beautiful, original and iconic.